The infamous Whitby Abbey in North Yorkshire, England. Well known for it's mention in Bram Stoker's Dracula. 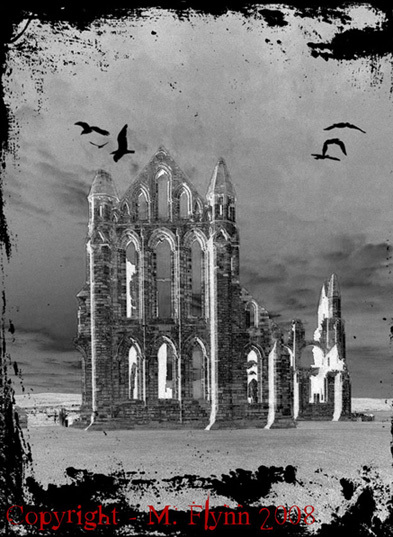 In the book Whitby is the destination for the doomed ship Demeter, which carries Dracula to England. Please note that the red copyright text will not be on the prints, this is there for web viewing copyright. 300dpi print on highest quality photo paper.